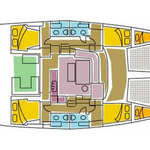 Sailing yacht Lagoon 440 called Annie has been produced in 2006. Annie is registered for 10 pax. 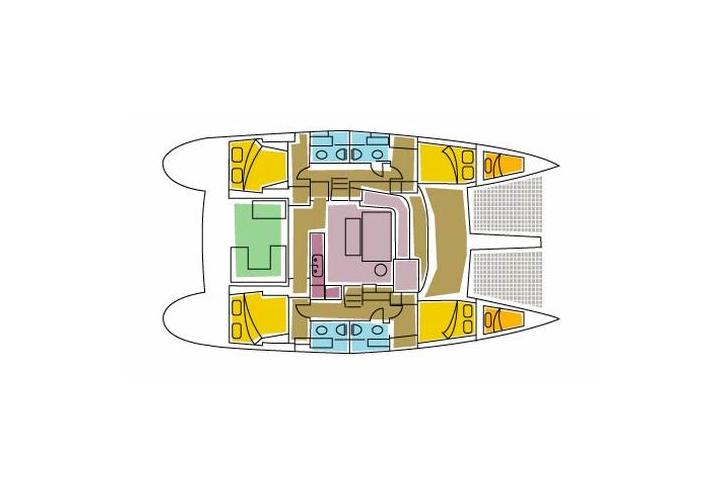 Layout of the yacht is 10 (8+2). Lagoon 440 Annie has 6 bedrooms. For comfort of passengers there are 4 toilettes with showers. You can fill the diesel tank with 650.00 l liters and in water container it goes even 850.00 l liters. With motor 2 x 53 HP Annie can move really fast. Annie is 13.61 meters long and 7.70 m wide. Depth is 1.30 meters. 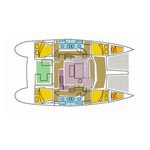 Yacht's equipment includes : Autopilot, generator, Inverter 12v-220v, TV, DVD player. . Deposit has value 3000.00 EUR. 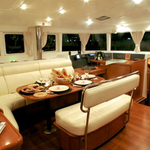 Choose our offer and enjoy your vacation on the deck of Annie.